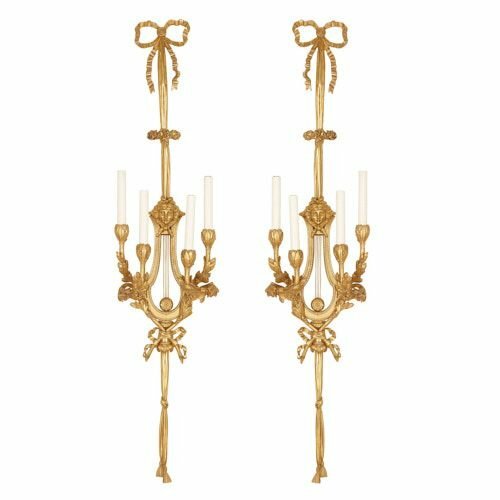 These ormolu wall lights have been crafted in a grand, Louis XVI style on a magnificent scale, and will serve as real statement pieces in an interior. 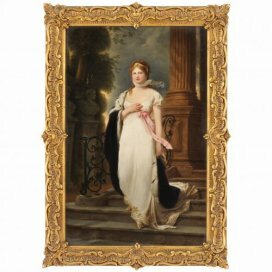 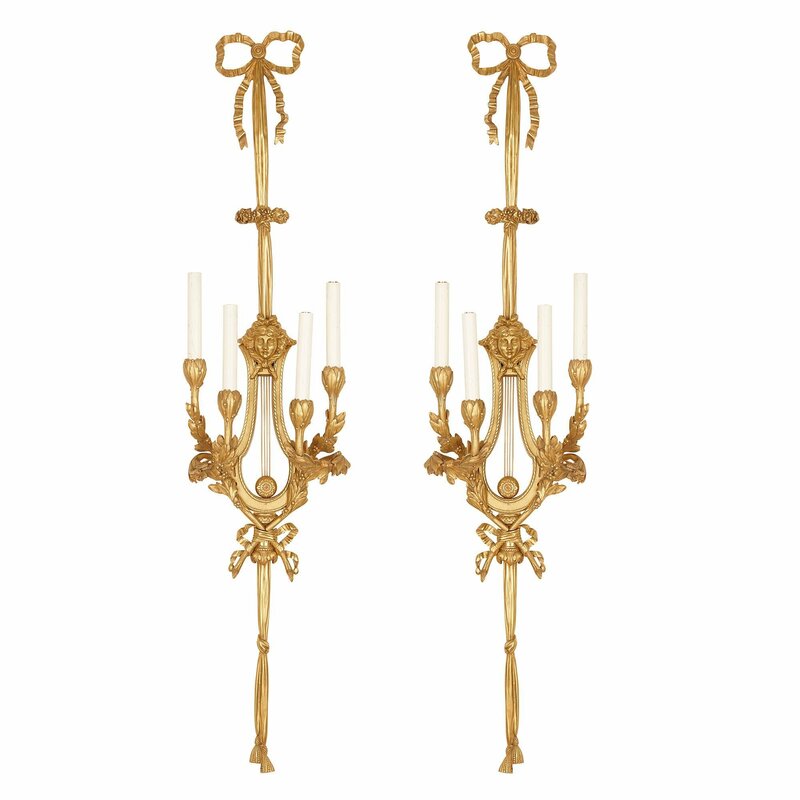 The lights have been crafted in a refined Louis XVI style. 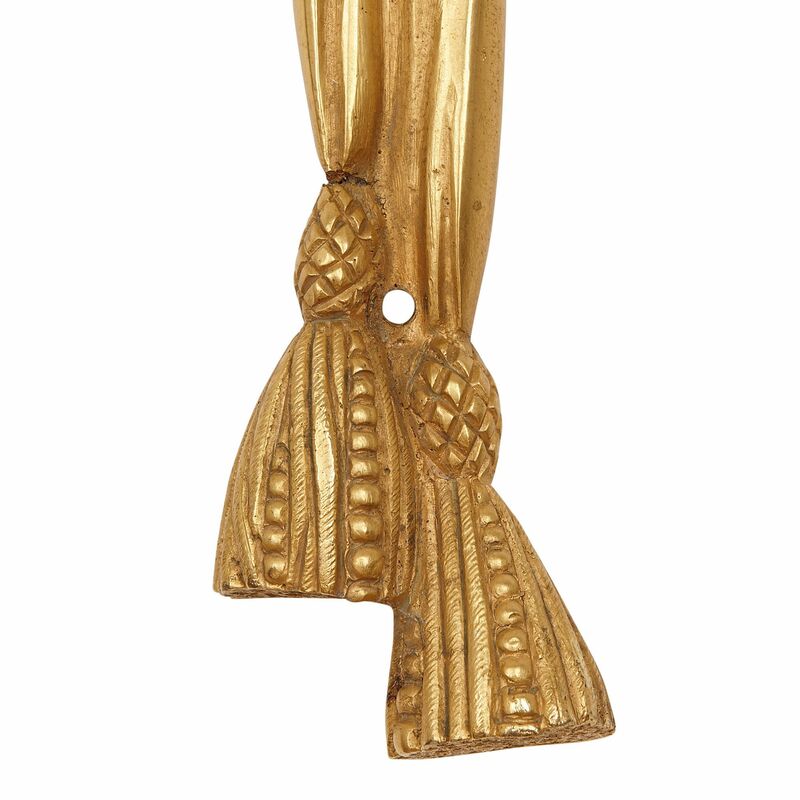 Each light has an elegant, lyre-shaped body, from the bottom of which extends a long piece of fabric. 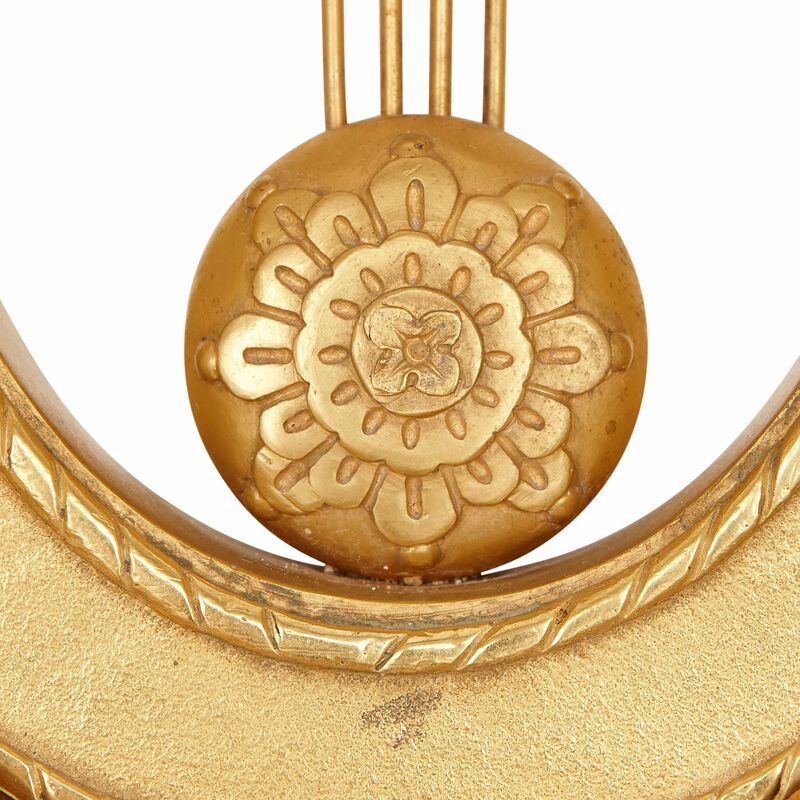 Two laurel branches are bound together beneath each laurel body. 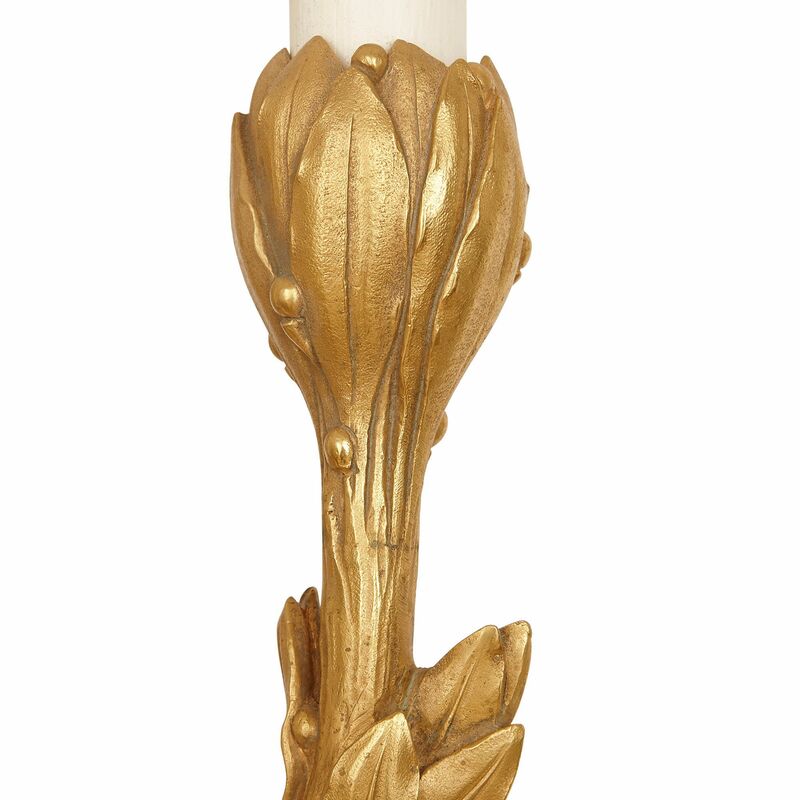 On each piece, these branches curl organically upwards to form four lights, which terminate in flower buds and candle tubes. 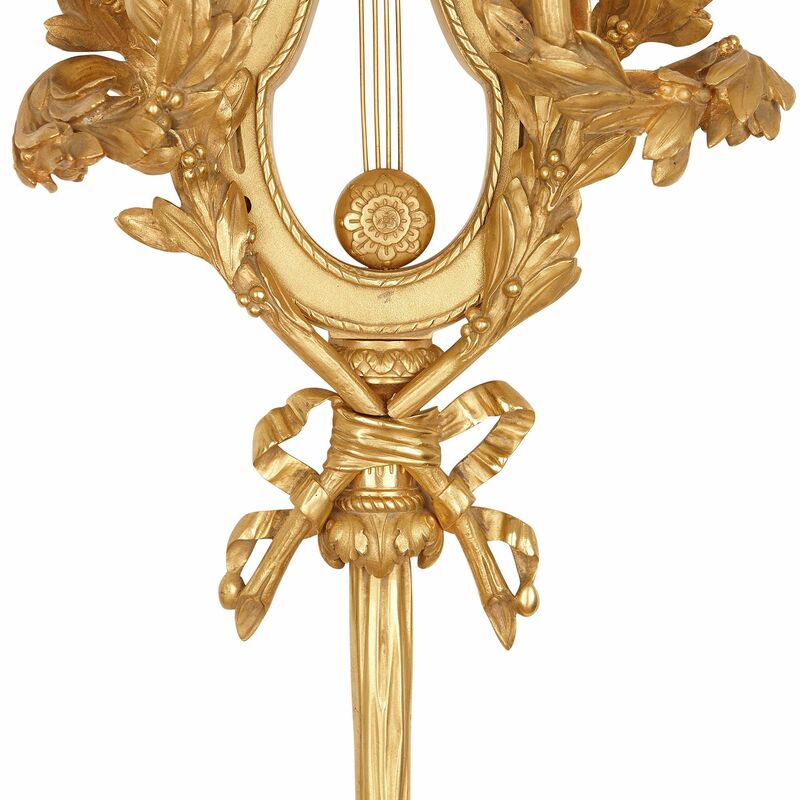 Between these lights, each piece has a lyre-shaped body, with four fine strings spanning the open space, and fixed to the bottom of the piece by a foliate medallion. 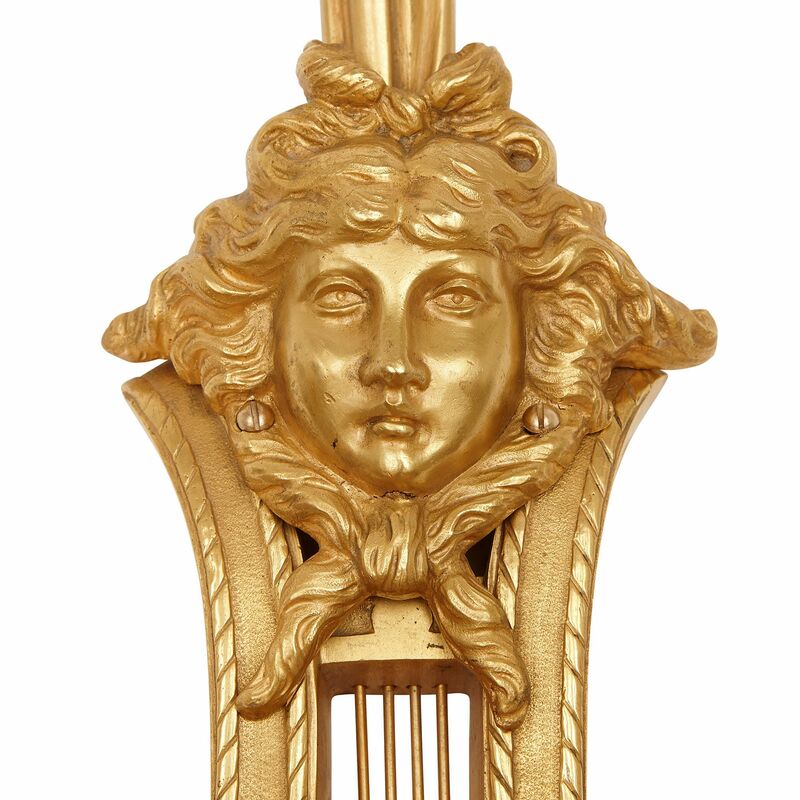 Each lyre body is topped by a classical female mask. 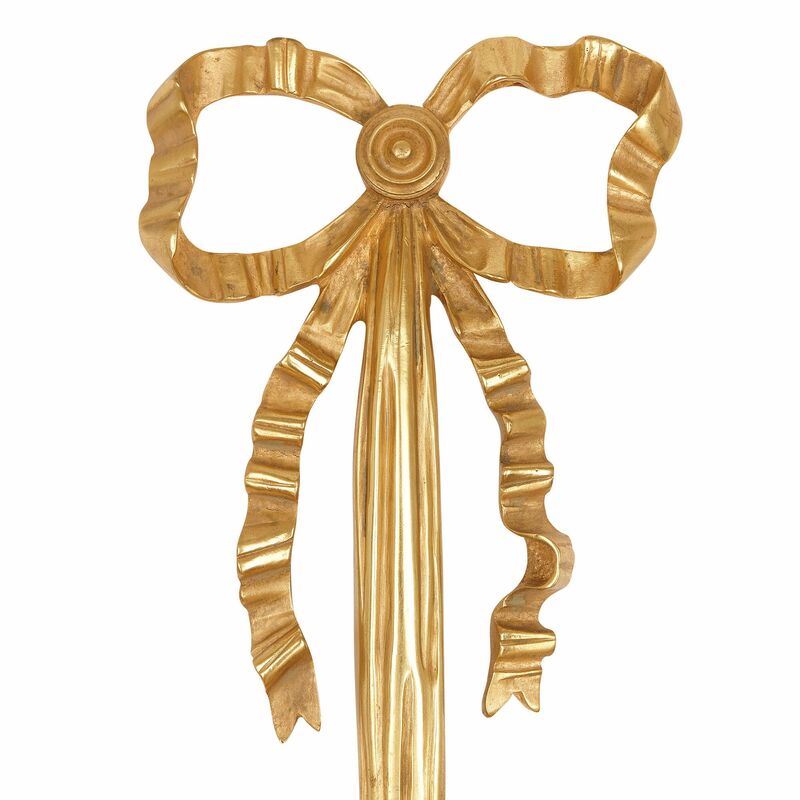 A long piece of ribbon extends from the top of each lyre, and terminates in a crinkled bow. 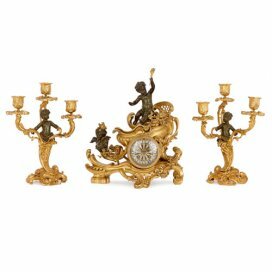 Once these lights are lit, they will cast a warm glow, which will flicker and dance on the items’ gilt surfaces. 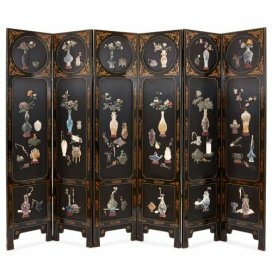 From the collection of Sir Rod Stewart.